UVERworld - New Single Available Worldwide + Concert Streaming on VEVO | VKH Press – J-Rock & Visual Kei Coverage Worldwide! 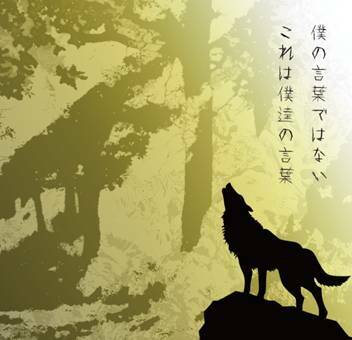 UVERWORLD's latest single Bokuno Kotoba Dewanai Korewa Bokutachino Kotoba is featured as the opening theme song of the popular anime, "The Heroic Legend of Arslan". In Japan, it reached #3 on the Oricon weekly ranking chart as well as #1 on the iTunes rock chart. As of June 24th, footage of UVERworld’s concert at the Kyocera Dome in Osaka, Japan, will be viewable on VEVO as well! UVERworld performs live shows mainly in the Kansai area. They made their Tokyo debut in late 2004, and broke out with their major debut in July, 2005. About their name, “UVERworld” A combination of “UBER”(meaning “over” in German) and “world” with the concept of wanting to always overcome past obstacles, along with future obstacles coming their way. With hopes to share with the world and create a powerful outlook on life, hopes that someday this philosophy can change the world. UBERWORLD became UVERworld adding character and a twist. Their debut song, “D-tecnoLife” ranked 4th place on the Oricon Top Hits Chart. An instant smash hit, their sudden spotlight surprised many. Their second single “Chance!” also listed 5th on the Oricon Chart (In 2005, there was only 1 group who had two of their singles make it on the top 5 in a row). In January 3, 2006, they released their third single “just Melody”, followed by the release of their first album “Timeless” in February, 2006. With a wide variety of genres, they took “rock” to the next level into their album which insanely attracted many fans. The album ranked 5th place in the first week of their release on the Oricon Top Hits Chart and was another smash hit! Through March and April, they went on a nationwide tour, (Such as performing at Shibuya AX, a total of 8 venues) with sold-out tickets on the day it went on sale. But the UVERworld freight train didn’t stop there! As soon as they finished their tour, they released their 4th single titled, “Colors of the Heart” (Opening for “Blood+”) which also ranked in the top 3 on the Oricon Top Hits Chart, the best ranking in their career thus far. In August, they released their 5th single titled “SHAMROCK”, used as the theme song for the drama series Dandori. This release showed the world an even wider range of music styles and impressed many fans. In November, they released their 6th single titled, “Kimi no Sukina Uta” (Theme song for, Koi Suru Hanikami) which ranked 2nd place in the Oricon Top Hits Chart. This song is their first ballad song. Since their debut, they’ve topped the charts with over 1 million CDs sold to date. In December, they released their first live show DVD. In February, 2007 they released their much-awaited second album. By spring, they had announced their nationwide tour. In May, they released their 7th single titled, “endscape” (Opening theme song for the anime, “TOWARD THE TERRA”). In August, the release of “Shaka Beach~Laka Laka La~” made it to the top 2 on the Oricon Top Hits Chart. The achievement was a first, for a single to be ranked second place without any ties to an anime, or drama theme song. November 2007 marked their release for the Wednesday weekly TV drama series from “Nihon TV”, “Hataraki-man”’s theme song titled “Ukiyo Crossing”. This song also ranked third on the Oricon Top Hits Chart. Their third album, “PROGLUTION” released in January, 2008 was a hit to all their fans and their popularity skyrocketed, successfully completing their nationwide tour. Their 10th single “Gekidou” which also ranked third on the Oricon Top Hit Charts was labeled as the symbol song for 2008. Their second ballad single titled, “Koishikute”, also a single that did not have ties with other media titles, ranked top 3 on the Oricon Top Hit Charts. Their 12th single, “Hakanakumo Towa No Kanashi” (Opening theme song for the anime, “Kidou Senshi Gundam 00” second season) is still playing on everyone’s top play lists. For the first time this single ranked first place on the Oricon Top Hits Chart! The tickets for UVERworld’s first one-man live held at Nippon Budoukan sold out in a matter of minutes, a record-breaking success of their career. Their second performance at Nippon Budoukan, and also at Osaka Jou Hall, both with sold-out tickets, were a definite success! In February 2009, they released their fourth album titled, “AwakEVE”, an album that is filled with the energy and passion of their success. And with their first single released in 2009, “GO-ON”, hitting 2nd place on the Oricon Top Hits Chart, all eyes are on UVERworld as the Japanese rock band at the center of attention.